Hey, you're a GREAT mother. Don't let anyone tell you otherwise. Great funny mother's day gifts. 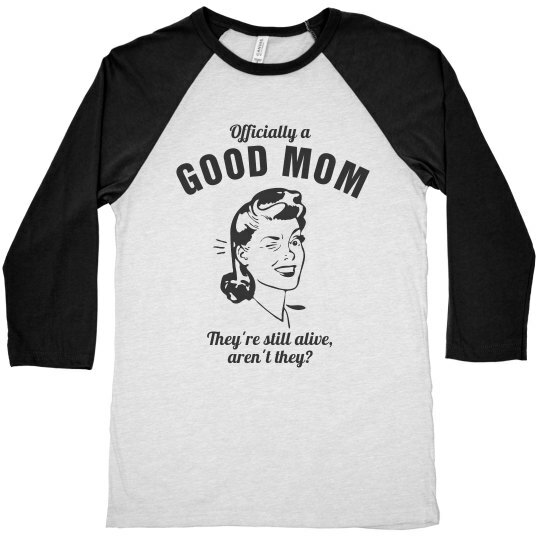 Custom Text: GOOD MOM | Officially a | They're still alive, | aren't they?